MORIA, Greece — When refugees came to the Greek island of Lesbos, Katerina Kechagia set up shop. In October 2015, as thousands of migrants from Turkey landed on the shores of the island, Kechagia pulled her canteen trailer to the center of the action. A sort of café, snack bar and convenience shop all rolled into one and set on wheels, Greek “kantinas” traditionally catered to tourists on beaches. But as tourism dried up in the face of the refugee crisis, Kechagia and others began serving migrants instead. Parked barely outside the coiled razor wire marking the boundaries of the Moria refugee camp, Kechagia sold food, coffee and tobacco to refugees and aid workers. “We decide to come here because we knew that we would have work all over the year,” instead of just the summer months, Kechagia said. 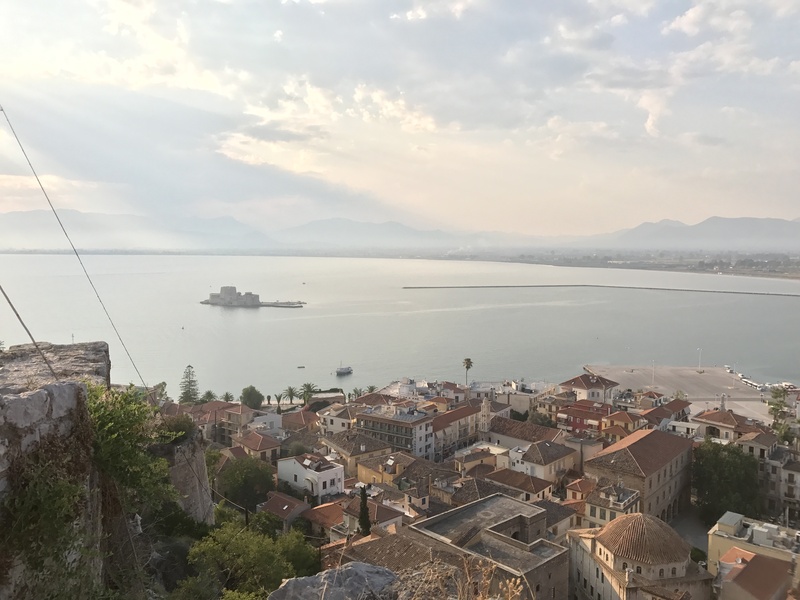 NAFPLIO, Greece — Two hours from Athens, across the Isthmus of Corinth and down Motorway 7, lies Nafplio, a city of roughly 30,000 and the original capital of the modern Greek state. 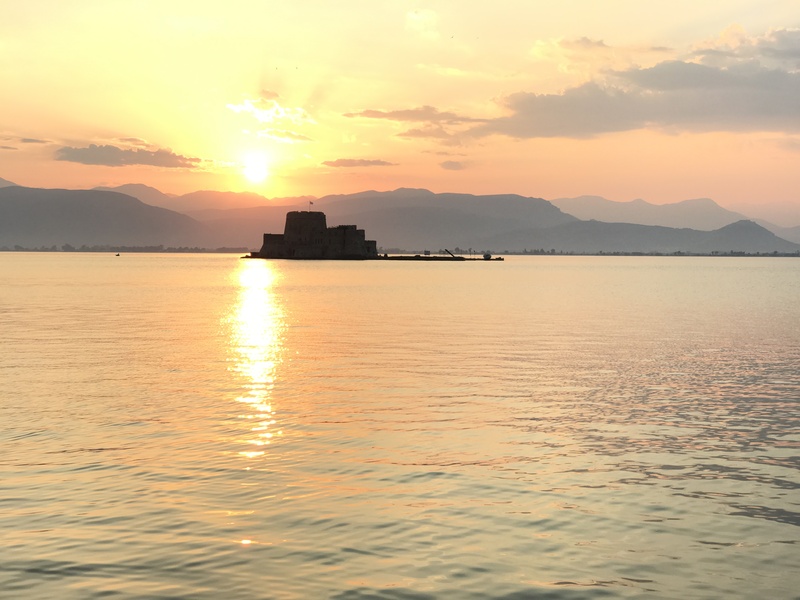 The history of Nafplio illustrates the influences on Greece’s concurrent crises of economics and migration. During the Greek War of Independence, Nafplio and the rest of the Peloponnese were a stronghold of the Greek rebels against the Ottoman Turks. In the past few years, more than a million migrants, mostly Muslims, have traveled from Turkey, the modern descendant of the Ottoman Empire, and into Greece. Due to a series of wars and international agreements, virtually all of Greece’s Muslim population left the country by the early 20th Century. The three mosques in the center of Nafplio, which were built by the Ottomans, were converted to Christian churches or other uses by this period. There have not been Islamic centers in Nafplio for at least a century. Although Muslims are still very rare in Nafplio, takes to the continuing refugee crisis, there are tens of thousands of them in the rest of Greece, and those Muslims need mosques in which to pray. Athens, a city holding nearly 40 percent of the country’s population and 200,000 Muslims, does not have a single official mosque, Public Radio International reported in April. Prayers must be held in makeshift basements and garages. The Golden Dawn, a far-right party that some consider neo-fascists — and which holds 17 seats in the Greek parliament — protested the building of an official mosque in the city, and tried to stop the construction, Al Jazeera reported in November. Near Nafplio’s former mosques lies the Church of Saint Spyridon, where the first head of the Greek state was assassinated in 1831. Following that event, the European powers that had helped Greece secure independence from the Ottomans installed a German prince, Otto, as the King of Greece. More than a century later, Germany would occupy Greece during the Second World War, killing hundreds of thousands of Greeks. Today, Germany is one of the lead players in the Greek debt crisis. Without accepting the harsh austerity measures proposed by Germany in the past decade in exchange for loans, the Greek government would have defaulted. The austerity program is deeply unpopular among Greeks. 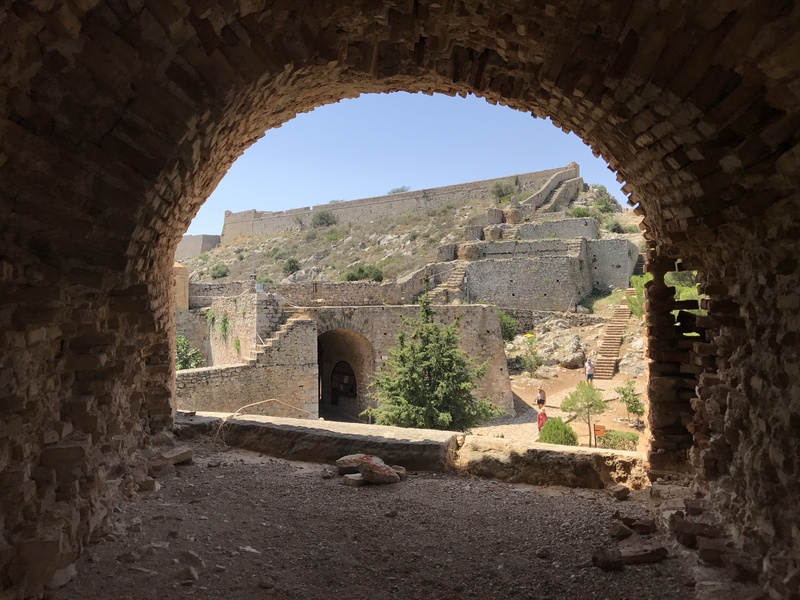 The dual histories in Nafplio of the Ottoman mosques and the church that prompted the first takeover of Greece by a German complicate what would already be strained situations in the country. SKARAMAGAS, Greece — Temperatures climbing to over 104 degrees Friday left a sleepy air over sun-drenched Skaramagas. The port-turned-refugee camp, in a western suburb of Athens, is made up of a grid of Isobox containers that house 3,300 refugees, laid out over an expanse of arid dirt — a floor plan that offers few patches of greenery or shade for respite from the baking heat. The edge of the dock here, since it runs along the waterfront, makes it a desirable piece of real estate. At least, it is for the businesses that refugees have established along the water at one end of the camp. The waterfront offers a welcome breeze —and view — for refugees preparing falafel in containers-turned-cafés, sweeping outside their storefronts, and manning a pool table where you can play for one euro per game. Cafés and restaurants have sprung up in Skaramagas, which hosts many refugees who are counting their anniversaries there as time passes. Skaramagas follows a pattern similar to that in other camps in Greece and elsewhere. The refugees there, many of them Syrian, are just people uprooted from their engineering jobs and college careers, bored in the limbo of a camp with dwindling savings. So they start businesses. Mostafa Balkes is a 26-year-old Syrian man who has won asylum in Greece, and so need not stay at the camp. Nonetheless, he sat among other Syrian refugees by the water on Friday — his business is in Skaramagas, and so are the friends that help him run it. He owns the pool table, a 2,500 euro-investment, which is in a covered room where he also offers coffee and cold beer, among other refreshments. On the other side of the wall is a space with shade overhead and an open-faced front overlooking the water. There, Balkes and three others sat in white plastic chairs in front of a dauntingly large pile of long reeds, which they were shucking to weave into big blinds to cover the front of that room. With ample chairs for the kids and men who passed through the room that afternoon, either to help with the systematic shucking process or just joke around a bit, the room already had the welcoming atmosphere of a café. Balkes’ friend Jahid Zughbi, a 40-year-old Syrian refugee whose countdown to leaving had dwindled to just 10 days, translated for Balkes and explained how they planned to cross the reeds in a grid. Skaramagas is one of the nicer Greek refugee camps, whose Isobox housing trailers offer electricity and plumbing that other camps cannot promise their residents. Those who built the camp — and those who live there — never expected residents to stay for long. Nevertheless, as they remain in Skaramagas, they have settled in and set up shop. Woven blinds give personality—and shade—to Balkes’ pool café. 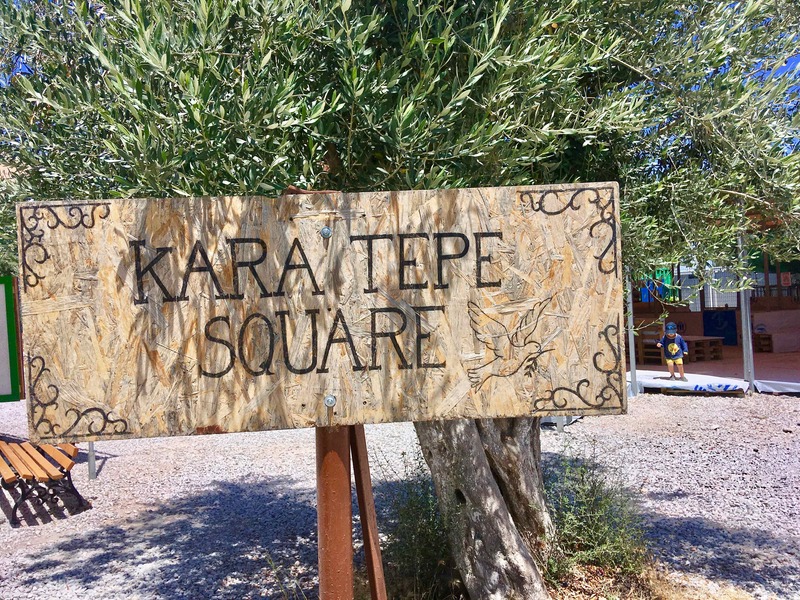 As the prospect of leaving Greece becomes increasingly less likely for those still here, the next steps for refugees in Skaramagas are murky—but so is the question of how these businesses can help beyond the camp, if at all. Economic activity in refugee camps seems to alleviate boredom and improve mental health, but Zughbi and Balkes were both marine engineers in Syria (and Zughbi was a chief marine engineer). 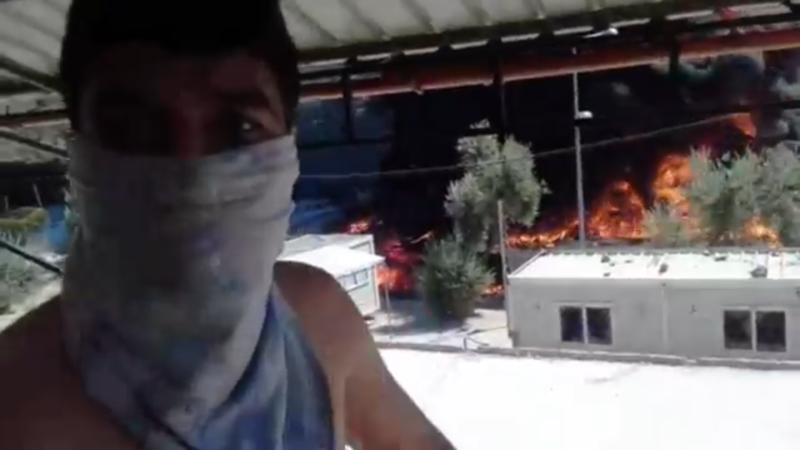 Ali Alshaaer, an 18-year-old who lived at the end of Zughbi’s block in Lattakia, had to put his studies at Damascus University on hold to leave Syria. Between calling each other nicknames that matched animals—among which multiple people were unluckily branded “donkey” — talk about who was leaving for where and when persisted. Alshaaer was hoping to leave for Germany in a month; Balkes had an uncle in Baltimore, Maryland; and Zughbi had just 10 days left before meeting his parents, wife, and two kids in Belgium. Skaramagas is not forever, but many do not have a precise number of days left they can count down on two hands. Until then, the woven blinds will help with the summer heat. SKARAMAGAS, Greece –– There was a heat wave in southern Greece this week, with temperatures projected to climb as high as 111 degrees. In the Skaramagas refugee camp outside the Greek capital of Athens, hardly anyone was venturing outdoors. 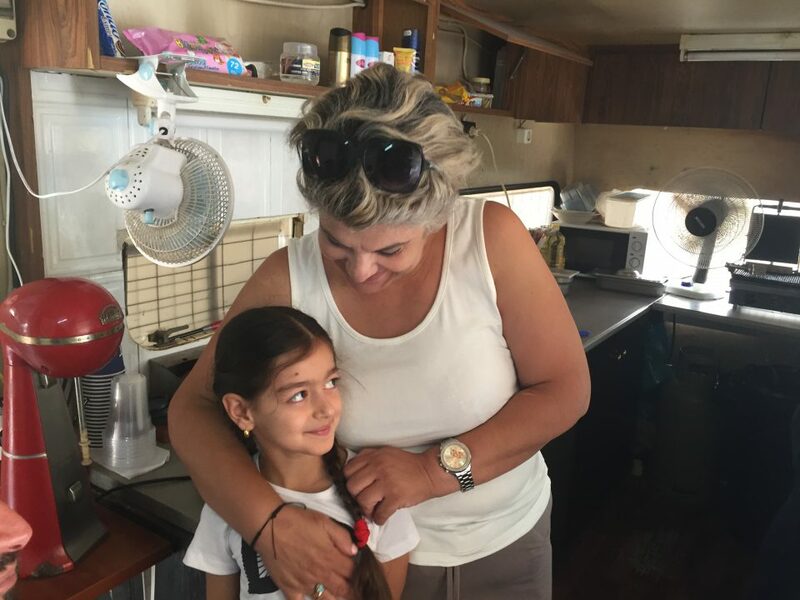 Kajji Dawd sat atop a mattress in her air-conditioned, solar-powered metal container, known as an Isobox, where she lived with four of her daughters. Three years earlier, after the Islamic State of Iraq and Syria (ISIS) attacked their city and bombed her home, they had fled Iraq. 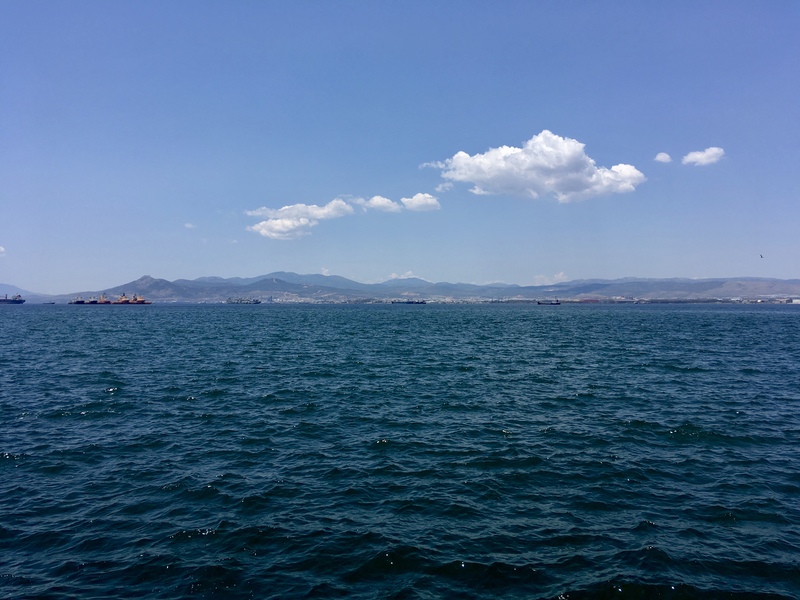 Dawd’s husband and two youngest daughters remained behind while she and the others trekked to Izmir, Turkey, and then across the Aegean Sea to reach the Greek island of Chios. 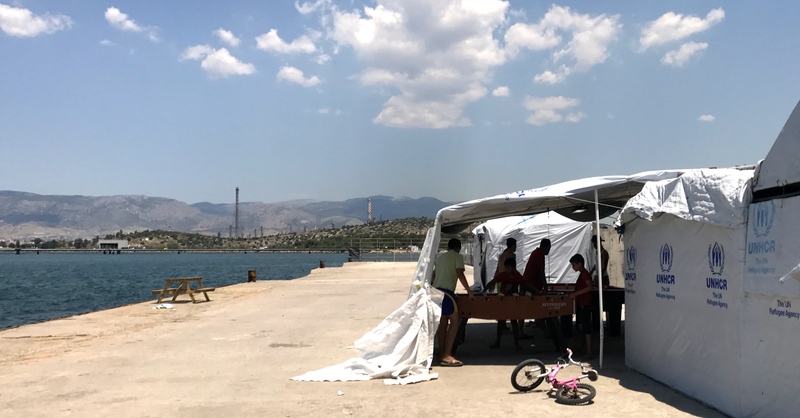 Although temperatures were approaching record levels in Greece, the camp remained cooler than Dawd’s hometown in Mosul, where forecasts were predicting highs of up to 118 degrees. Heat waves were nothing that Dawd was unaccustomed to. It was her high blood sugar levels that concerned her. Dawd, 55, had diabetes. When she was in Iraq, she was able to pay for medicine to keep her blood sugar low. In the camp, she was forced to go without. 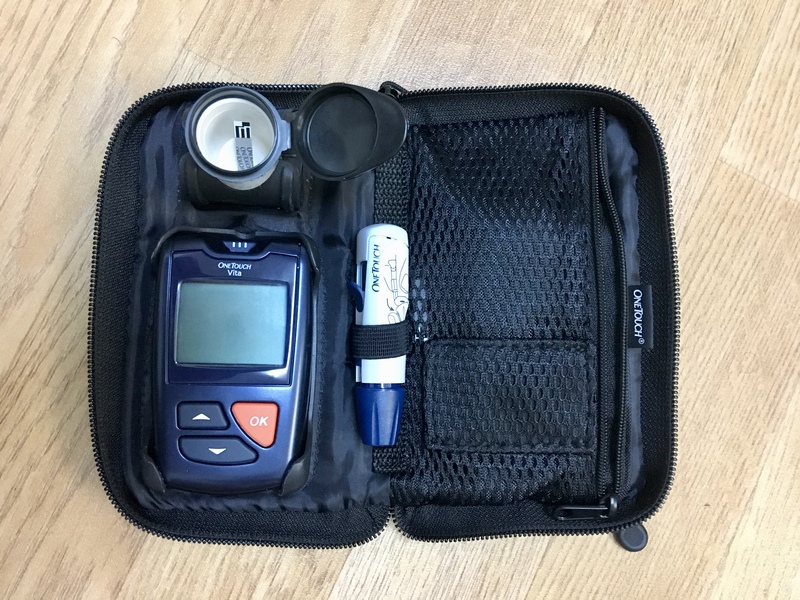 Instead, she carried a bag with glucose test strips and a meter to monitor her diabetes. On this day, she had only one strip left. She said she was saving it for an emergency. In the meantime, she said, she was forced to wait two to three hours every other day to be examined by a camp doctor. Many other women like her in the camp face the same problem, she explained. Dawd’s glucose test strips and meter. “Before this, we were in Chios for five months and 15 days,” Dawd said. At the Vial refugee camp there, tensions escalated to frequent violence between Afghans and Syrians. “It was like being in a jail,” she said. When fighting erupted in the camp, her blood sugar level rose to 350 mg/dL, though a healthy range for her would be between 90 – 180mg/dL. At Skaramagas, Dawd said, her blood sugar had decreased significantly. She was able to cook and wash dishes during the day, and take walks by the sea in the evening. Though it was blistering in the open, gravel-covered areas of the refugee camp, one of its advantages was that one side bordered the sea. Along a cement strip facing the waves, , entrepreneurial migrants had set up tents with pool tables and coffee stands. There were signs warning people not to swim in the water, polluted by the ships at a nearby port. But in the evening, children could be seen jumping in. Dawd said she hoped that she and her family would be approved for asylum in Greece. She wanted to travel to a northern country like Germany and have her husband and remaining daughters meet her there. Life was difficult in Greece, she said, but easier than Iraq.